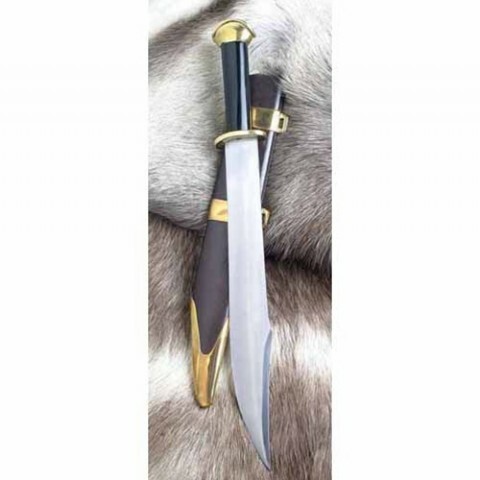 Wicked fighting knife based on the ancient Nordic Seax. Solid useful pattern similar to that crafted by Norse smiths that ranged in size from 15cm to short sword length. Updated blade profile gives a good point and a sharp top edge. Horn grip complimented with a solid brass pommel and guard. Well tempered blade 37cm x 6cm.